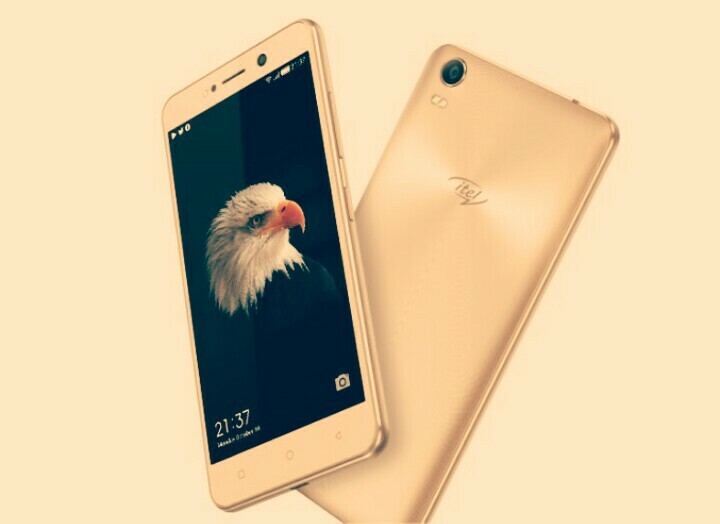 Itel s31 android phone is the latest addition from Itel this January 2017, designed on metallic frame for those that like big sized gadgets, coming with a large 5.5 inch IPS HD screen and interesting 16GB ROM (internal storage) and small 2400mAh battery. I know this mobile phone won’t have me swap iOS for android. 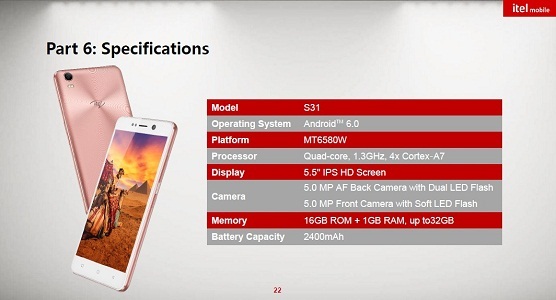 Itel s31 features 1.3GHZ Quad-core, 4X cortex A7 Processor, 16GB internal storage, which can be expanded to 32GB with SD support, plus 1GB RAM and will run latest Google Android 6.0 marshmallow pre-installed out of box. A camera of back 5MP (megapixels) and 5 MP mega-pixels front, designed or selfies and video calls, this probably is a mid-range camera phone. The device will be available for purchase in three color model, including black, champagne gold and rose gold. This Itel s31 android phone has a Dual sim functionality with full 3G support, which is very easy for internet connectivity. it will be up for sale come January 2017. First Images of Nokia 6 Android Smartphone... Yea or Nah? How is Glo Network in Your Area? The battery does not match the phone at all considering its big screen. Haba ITEL!!! My itels31 can’t receive or send messages. From my assessment, the message app was disabled mistakenly and since then I was unable to receive messages. How do I reset it or solve this problem. Wish to hear from you soon. The battery for s31 is so so bad that when u have data is fast running down low.